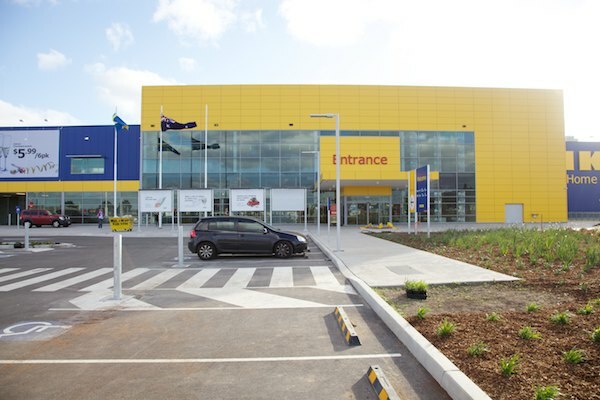 If you’re in Sydney’s inner west this weekend the traffic will be crazy and it’s all down to the opening of a new store for Swedish furniture superstore Ikea! Truthfully, I’m a bit of an Ikea groupie, and as an inner westie to boot, I’ll confess that I have watched the progress of the new Ikea Tempe store with very thinly veiled delight, each time I have driven past. In the course of a week, I drive past the site quite a few times and the dramatic blue and sunny yellow Ikea colours gave me a little lift on drab rainy days. Imagine my childish delight to find out that Mandi and I were going to get a sneak peek at the new store before the opening. We were lucky enough to join a media tour of the Tempe store and it certainly lived up to my expectations. Ikea are the storage solutions on a shoestring specialists. They always have something handy for kids’ rooms and great ideas for organising small spaces for maximum impact. The Tempe store is fifty per cent bigger again than the existing Rhodes store. Lest you are worried about that condition known as IKEA-rage (where suddenly you realise you’ve been there for hours and you need to see daylight), it is all well mapped out, with plenty of shortcuts for quick trips. But you could also happily spend a day wandering around, and after all, they do let you sit on the furniture. 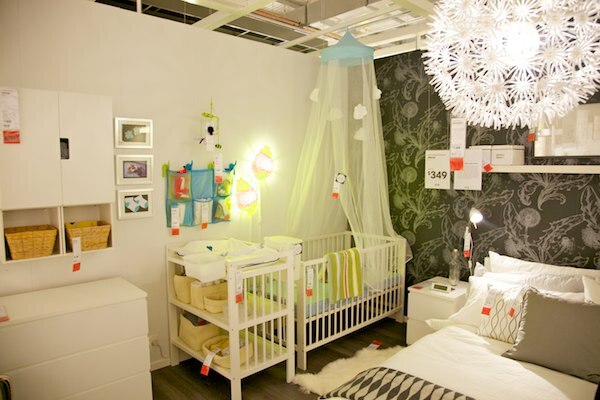 Ikea Tempe is the biggest Ikea store in the Southern Hemisphere. There is a big playland (picture at top) for kids. You need to sign them in and they can stay for an hour while you shop in peace. You will be given a pager in case the staff need to contact you. Need a workout? The distance from front door to checkout in the new store is 2.5km, and that doesn’t include things you forget and have to go back for! You could give up your gym membership! 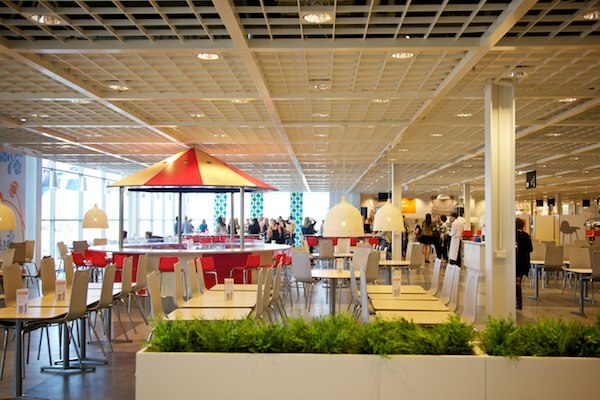 There’s plenty of room: a 760 seat restaurant, 1680 car spaces and forty-four checkouts. And yes, the hotdogs are still only $1! 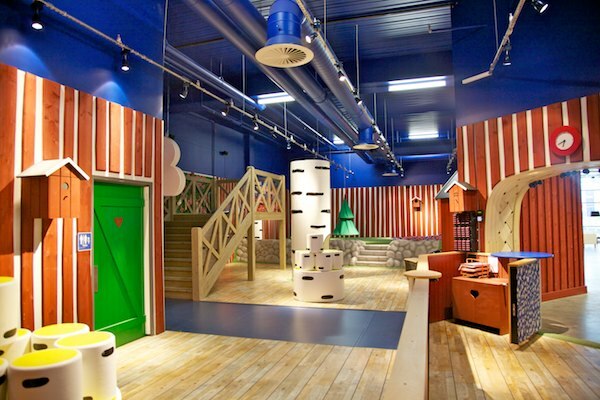 There are also plenty of rooms – sixty-two room sets to be inspired by, and in the Tempe store half of all those room sets focus on living with children. There are three complete homes featured within the showroom, one of which is dedicated to sustainable living. Despite its size, one of the great things about shopping in Ikea with small children in tow is the way they have thought through the whole shopping experience. There are plenty of trolleys for getting everything around easily, and lifts for trolleys and prams. There are even strollers available to use if you’ve left yours at home. The cafe is very child friendly, with high chairs and plastic plates and cutlery. They have a good range of kids’ meals and baby food for sale in the cafe. 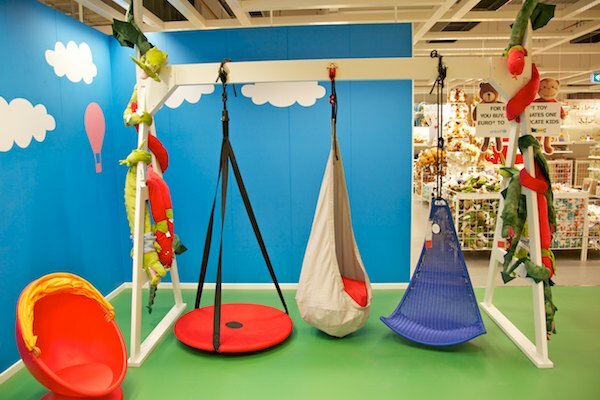 Throughout the store are activity stations where the kids can play while you browse. There are well equipped parents’ rooms and even a nursing station with lounges and facilities for nursing mothers. The enormous new carpark is on the same level that you check out! No more waiting for lifts to get back to your car – just go straight out the front door. The Tempe store also has special family car parking spaces close to the entrance to make the experience even easier.